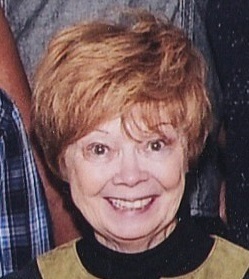 It is with great sadness that our family announce the passing of Mary Elizabeth Mahoney, age 74, on Tuesday, February 13, 2018 after a brief illness. Mary is lovingly survived by her sister Rita (Stephen) Miniutti, her sister-in-law Judith Mahoney and her brothers Charles and Edward Mahoney. She is pre-deceased by her sister-in-law Linda Mahoney. Aunt Tootsie is forever in the hearts of her nieces and nephews- Gregory Miniutti, Krista (Paul Carberry) Miniutti, Mary Lynn Miniutti, Dennis (Andrea) Miniutti, Susan (Douglass) Lewis, Maureen (Thomas) Curry, Kerri (Thomas) Willson, Edward (Jessie) Mahoney, Paul (Doria) Mahoney, Joseph Mahoney, Richard Mahoney and Devon (Chris) Bachur. Aunt Tootsie’s legacy as the “Greatest Aunt Ever” carried through to her many great-nieces and great-nephews: Parrish & Codi Smith, Kaiden & Elijah Lewis, Sarah & Abigail Curry, Liam, Seamus & Ciaran Willson, Nicholas, Lillianna & Thomas Miniutti, Melissa Davies & Cassidy Mahoney, Kristal Curry and Skylar & Evangeline Bachur. A viewing will be held on Thursday, February 15 at Redden’s Funeral Home from 2pm-4pm and 7pm-9pm. A mass of Christian burial will be held on Friday, February 16 at 10:00am at Immaculate Conception Church. Mary will be interred at St Charles Resurrection Cemetery in Farmindale, NY immediately following.